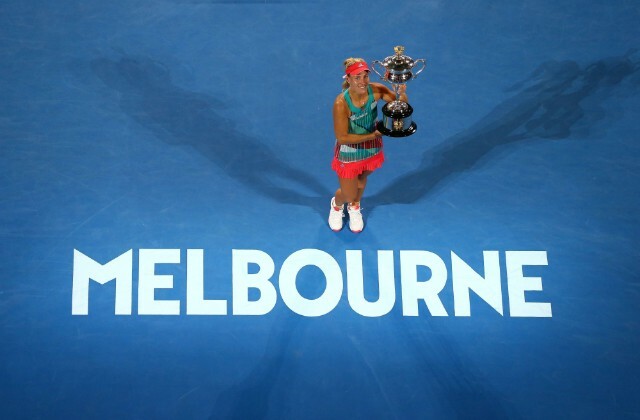 After her Australian Open victory, Angelique Kerber is at the zenith of her career and in the footsteps of her idol Steffi Graf. “Everything that happened for the last two weeks is amazing”, said Kerber after her surprising triumph in the final against world number one Serena Williams. The following night was short for Angelique Kerber. The new world number two did not sleep a wink. The day after her big win in Melbourne, she did attend various press events and jumped into the Yarra river. How was your night and when did you leave the stadium on Saturday? I have not slept a minute. I think it was something like three o’clock when I left the stadium. I did four hours of press. Then I had the doping test, and after that we came back to the hotel. I got changed quickly and we went out. And here I am. Have you any idea of what awaits you in Germany now? I know that when I land on Monday morning in Francfort, something is being organized. What exactly, I don’t know yet. Then I’ll definitely spend Monday night with my family and friends and go eat something. And on Tuesday I’ll go Leipzig for Fed Cup. For sure, lots more will happen to me. If you had to give an explanation on this success, what would it be? I really think the explanation is that I believed in me. I always have, but never as I did after the match against Victoria Azarenka in the quarterfinals, it was new. Somehow it made something ‘click’. Even when I went against Serena, I said, I want to win this thing. Everybody told me I should just enjoy it and just play a good match. But I said myself: to enjoy it is good, but you can enjoy it afterwards. You go out there and try, and make the best of the chances you get. Yes, I really did. I don’t know how I managed it, but I believed in me. I think this was the key to victory. I enjoyed the whole two weeks, but I wanted to show that I was worthy of the final and that I wanted to defeat her. If you look back at your beginnings, what is the biggest step you made since then? I think the whole experience I’ve made since then helps me now and for the future. Now I’m ready to really enjoy it. If I had won two or three years ago, I don’t know if I would have enjoyed and experienced it as I do now. Now I know, thanks to the tournaments I won before, what will happen to me. It has often been said, that of this generation of you, Andrea Petkovic and Sabine Lisicki, nobody will make it and win a Grand Slam. Why did you managed it? This is hard to say. I think I’ve experienced so many things in the last two weeks. I also learned you don’t need to play your best tennis two weeks long. But you have to believe in you for two weeks. You also need a little luck. I simply believe that the time has come. I’ve always said, when the time comes, I’ll win something big. And I’ve just done it. Lots of people didn’t believe in but I think now, I don’t need to prove anything to anyone. I am the world number two and I won a Grand Slam title. What more? Do you think you will be perceived differently now on the tour? After all you are now a Grand Slam champion. I don’t think a lot will change. I am curious, but I’m looking forward. Now I reached a high point in my career. I’m curious to see how things will change and how people react. It’s something different now. There are not many Grand Slam winners. Is it even more special to win the title against Serena Williams? In any case, that means a lot to me. Serena is an absolute champion, she wrote history and is a huge inspiration for me. To play against her is always something special. To face her in the final is an absolute honor, and to have played a good match makes the title even more special. Her best result at Roland Garros is a third round in 2013. 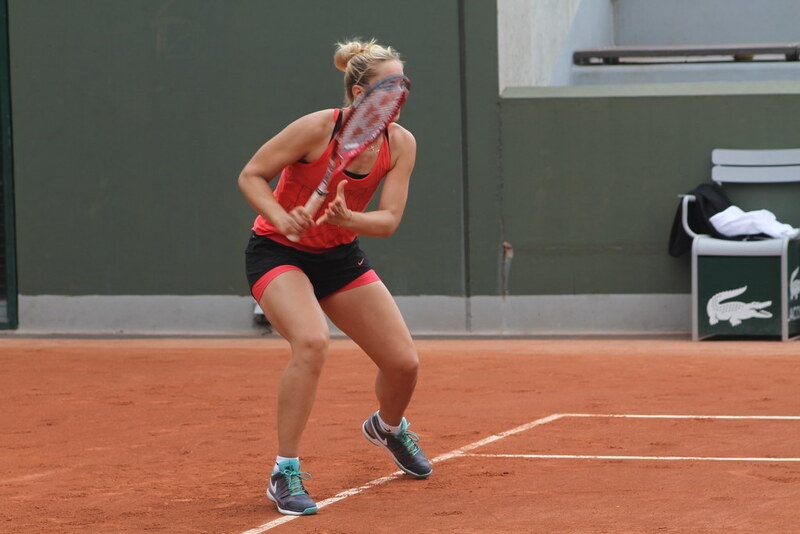 Do you think Sabine will do better this year? Follow our Roland Garros 2015 coverage. Last year’s finalist Sabine Lisicki. She split with coach Martina Hingis on the eve of the tournament. 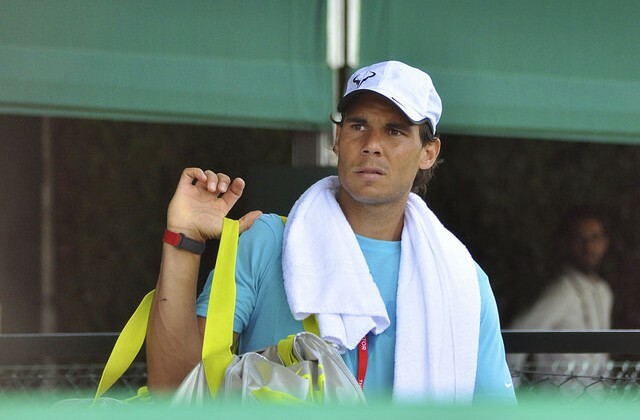 Rafael Nadal, back in the second week at Wimbledon for the first time since 2011. 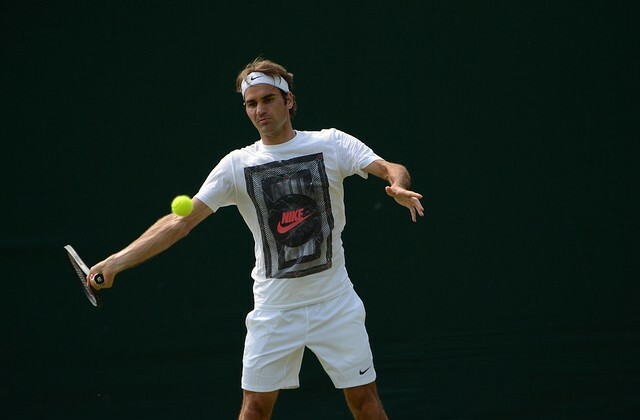 Twitter and Wimbledon 2014: What have the Players Been up to? 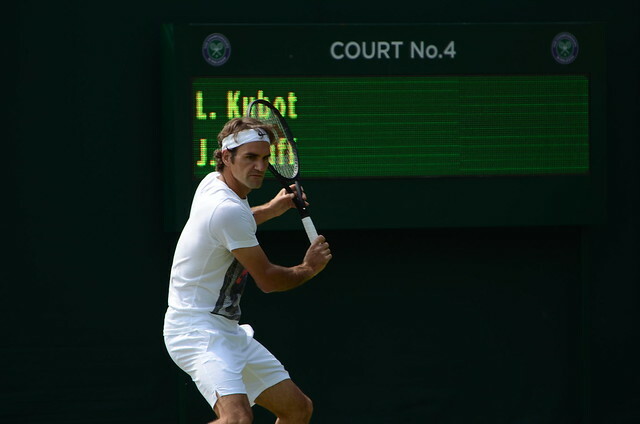 Wimbledon 2014 has certainly seen the event live up to its billing as the ‘most social Wimbledon ever’, with the event organisers bringing people closer to the action with a string of cutting edge activations promoted via the @Wimbledon Twitter profile. Adding to this is the fact that 85% of the competing seeded players now have a presence on Twitter, and with this in mind I wanted to have a look at some of the themes emerging from the outbound activity published to Twitter by those competing in week one at this years event. Whilst Tomas Berdych weighed in on the discussion around the Luis Suarez ‘bite’ – Tomas, are you implying that Suarez is a vampire? @andreapetkovic I always told you Botox was a good thing!!! Roger seemed to enjoy some of the responses too…. You guys are awesome. Scrolling, scrolling… Still scrolling. It is great to see players take to Twitter to give an insight into their thoughts, feelings and personalities at an event that ranks as the pinnacle of the sport, and the highlight in the annual ATP and WTA calendar. As we transition from the middle Sunday to the ‘business end’ of Wimbledon 2014, I look forward to seeing yet more fun, reactive and heart felt Twitter activity from the players.